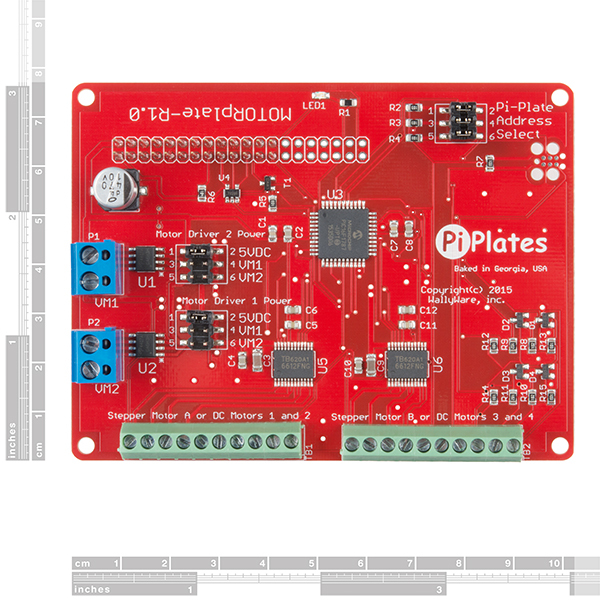 The MOTORplate from Pi-Plates brings a suite of professional motion control features to your Raspberry Pi. 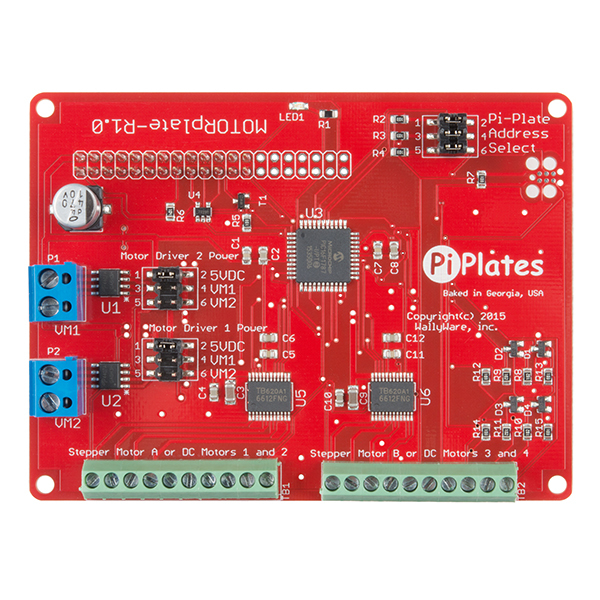 These plates can each control a combination of two stepper motors, four DC motors or one stepper and two DC motors. An onboard microprocessor does all the hard work including controlling acceleration trajectories and microstepping. 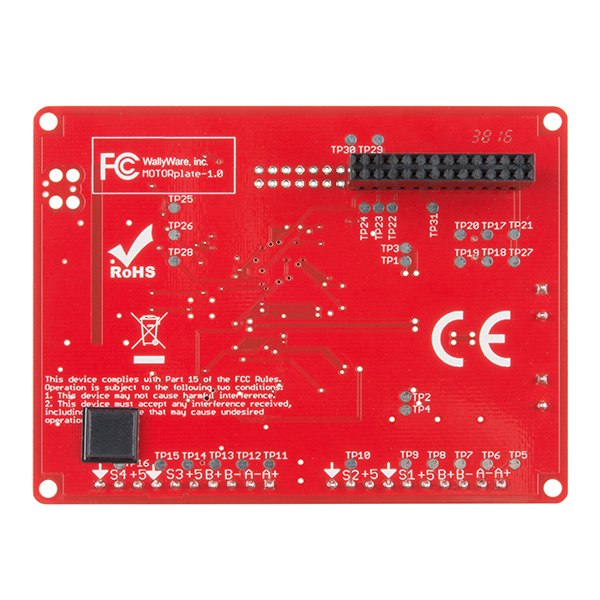 By offloading these functions, your Raspberry Pi is free to perform other tasks. 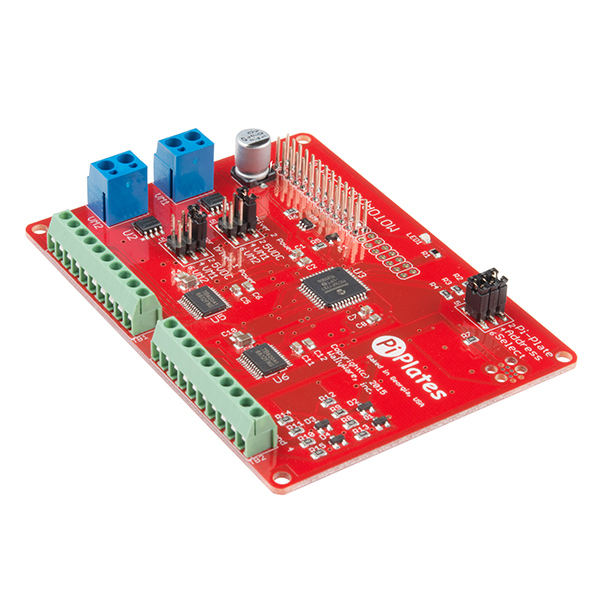 Use this board to control a precision XY stage driven by stepper motors. Or, drive the treads of your killer robot. 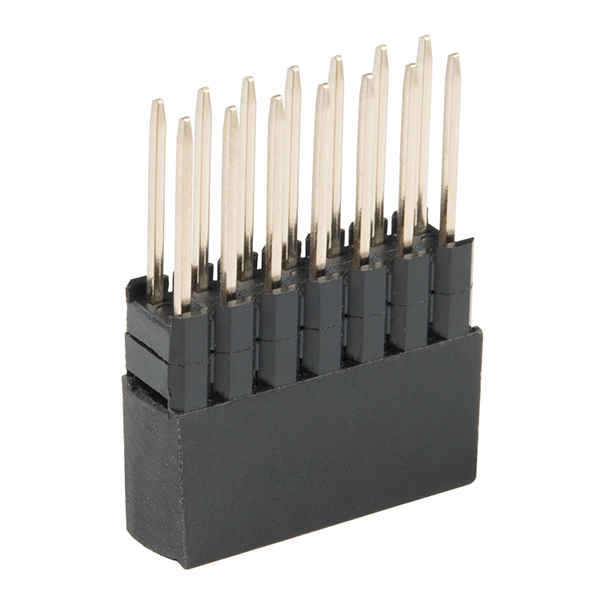 Design allows up to eight MOTORplate boards to be stacked together for eight times the drive capability: 16 stepper motors or 32 DC motors!